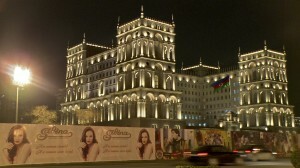 ﻿ Irish Film Institute -IRELAND ON SUNDAY: AMAZING AZERBAIJAN! The screening will be followed by a discussion with director Liz Mermin, producer Aisling Ahmed and Azerbaijani human rights activist Rasul Jafarov. 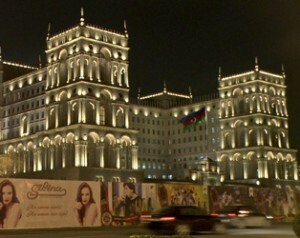 Amazing Azerbaijan! is a tale of two Azerbaijans: one the tolerant, Eurovision-winning, secular democratic republic that the government proudly puts on display for visiting journalists and dignitaries; the other a repressive and corrupt oligarchy with little respect for democracy or human rights. This investigative documentary offers radically differing perspectives from a range of Azerbaijan residents and asks why European neighbours tolerate the regime’s behaviour. Might it be because Azerbaijan provides an alternative to Russia as a major world supplier of oil and gas?